Lendora Farland is nicknamed “Sunshine,” but her testimony last month in federal court illustrated the misery her family has endured, caused, she said, by the stench and flies from a nearby industrialized hog farm in Duplin County. 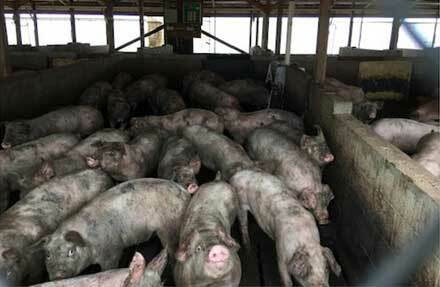 Farland’s affection for pork chops drove home the point that the plaintiffs in all of the hog nuisance cases don’t think Murphy-Brown, which owns the pigs, should go out of business, But the billion-dollar company should change how disposes of the millions of gallons of hog feces and urine. In each case, plaintiffs’ attorneys have argued that Murphy-Brown and its parent company, Smithfield, could choose to eliminate the antiquated waste lagoon and sprayfield system, but to avoid denting their corporate profit margins, have not. 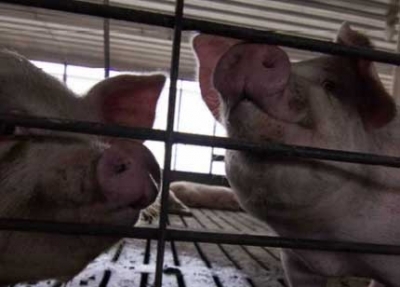 On Friday, a jury awarded 10 plaintiffs a total of $420,000 in compensatory and punitive damages in a hog nuisance trial against Murphy-Brown, a subsidiary of Smithfield Foods, the world’s largest pork producer. Punitive damages are awarded when a jury determines a defendant “committed fraud, or acted with malice or engaged in willful or wanton conduct.”Murphy-Brown has lost all five of the nuisance cases in federal district court, with gross damages totaling $550.5 million. Because of a state cap on punitive awards, the net payout is $97.2 million. Smithfield hasn’t paid these damages, pending the company’s appeal to the Fourth Circuit Court of Appeals. However, in another setback for the company, Senior District Court Judge Earl Britt denied Murphy-Brown’s request for a new trial in the third case, in which the jury awarded six plaintiffs an historic $475 million. (Britt reduced the amount to $94.5 million.) Britt also denied two other motions related to that case: One filed by Murphy-Brown to erase the punitive damages, and a second filed by the plaintiff’s attorneys to lift the cap on punitive damages, on constitutional grounds. While the jury deliberated, 100 miles to the southeast, the air in Warsaw stunk. The water was clammy, and carried the acrid odor from nearby swine farms, waste lagoons and sprayfields, depositing it outside the REACH office on Ward’s Bridge Road. Members of the community group REACH (Rural Empowerment Association for Community Help) and the Duke University Law and Policy Clinic were leading a bus tour of Duplin County affected by industrialized livestock operations: Not just hogs, but also poultry and cattle. Many of those on the tour, primarily environmental law students, had never witnessed, up close, anyway, enormous spray guns spewing geysers of waste onto fields — and the cows grazing on them. Until Friday, many had not seen a lagoon filled nearly to its berm. Many had not seen homes so close — a half-mile or less — to these enormous operations. 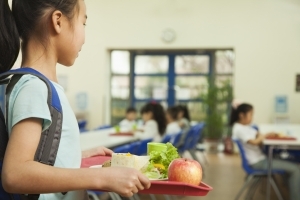 Amid the longest government shutdown in United States history, many school systems are concerned with their ability to receive reimbursements for their free and reduced priced meal programs. North Carolina’s school nutrition programs are a critical tool in the fight to end childhood hunger for students across the state, serving more than one million students breakfast or lunch at school each day. At the moment, there is no reason for school districts to take the drastic step of stopping or changing students’ food and meals. There are also other methods school districts can utilize to fund meals if the government does not open in time, such as the state’s ability to draw on their reserves or rainy day funds.The NC Department of Public Instruction (DPI) plans to keep school officials informed as the shutdown continues. 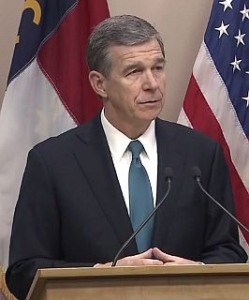 Governor Roy Cooper is pressing President Donald Trump to end the federal government shutdown. In a letter released Wednesday, Gov. Cooper wrote that the long-term work to rebuild in the aftermath of Hurricane Florence is being delayed each day the shutdown continues. The shutdown is also negatively impacting farmers hoping to plan for this year’s planting season and need help from the US Department of Agriculture. “While we continue the short-term recovery with FEMA’s help, our critical long-term work to rebuild stronger and smarter is delayed with every day that federal funds are held in Washington,” Gov. Cooper wrote in the letter sent today. In April 2018, North Carolina was notified of a $168 million award of Community Development Block Grant-Disaster Recovery (CDBG-DR) from the US Housing and Urban Development to make the state’s flood-prone areas safer. The state remains unable to use these funds until guidance is published in the Federal Register, which cannot happen while the federal government remains shuttered. In September, a HUD appropriation for 2018 storms including Hurricane Florence was enacted as part of the FAA reauthorization bill but awaits allocation to affected states. The $1.68 billion allocated will be shared by North Carolina and other states recovering from natural disasters, but without guidance states are left waiting to learn how much funding they will receive and how best to put these funds to work for recovery and mitigation. The shutdown also limits North Carolina’s access to HUD experts needed to help with rebuilding efforts in the state. In addition, North Carolina farmers are without help from federal agriculture experts at a critical time. Earlier this week the National Governors Association called on President Trump and congressional leaders to immediately end the partial federal government shutdown that began Dec. 22. The punitive damages phase of the most recent hog nuisance trial against Smithfield Foods had lasted just a half-day before the judge pulled the plug. Yesterday a jury found Smithfield had committed a nuisance against its neighbors of Sholar Farm in Sampson County and awarded eight plaintiffs compensatory damages. During the punitive phase, which began yesterday afternoon, plaintiffs’ attorney Michael Kaeske presented his case to the jury that Smithfield had acted with “willful and wanton disregard” for the neighbors — not just those on Herring Road, but throughout the state — and for more than 20 years. But this morning, as Kaeske tried to enter seven exhibits into the record for the jury to review, Senior District Court Judge David Faber allowed only three to be admitted into evidence. Faber then ruled there wasn’t enough evidence for the jury to assess punitive damages. Case closed. The jury went home. The purpose of punitive damages is to deter future bad behavior by the defendant — and that of other potential defendants who might consider comporting themselves the same way. Nine factors play into the question of whether to award these damages, including the duration of the misconduct and the defendant’s awareness of it. During the opening statements for the punitive phase, held yesterday afternoon, Kaeske told the jury, backed by more than 20 years’ of articles, memos and documents, that Smithfield had known odor was a problem at its hundreds of farms. The company’s lobbyists and proxies at the NC Pork Council had helped craft pivotal legislation to give the industry even more power to site farms wherever it pleased and to undercut regulations on odor and water discharge. “This is the way we finish the job,” Kaeske told the jury. But the job now goes unfinished. Throughout the trial, Faber never hid his contempt for Kaeske’s argumentative style of questioning. But yesterday, the judge sighed, grumbled and told the courtroom that the case needed to end soon. Faber disallowed any mention that Smithfield is owned by a Chinese conglomerate; nor could Kaeske discuss the ample salaries of Smithfield executives. Kaeske had presented this information in previous trials to prove that Smithfield could well afford to upgrade its waste lagoon and sprayfield technology. “Those are emotional arguments,” Faber said, dismissing Kaeske’s request. Jim Neale of McGuireWoods, representing Smithfield, objected to many of Kaeske’s statements. In fact, Neale argued, unsuccessfully, that the word “Smithfield” should even be uttered because technically the Sholar Farm is owned by Murphy-Brown. However, Murphy-Brown is wholly owned by Smithfield — and, even the judge agreed, that fact had been central to the first phase of the case. And so on, for more than two hours of objections, overrulings and sustainings, until the judge, jury and courtroom observers were exhausted. This morning, Judge Faber unveiled a prewritten statement as he called off the punitive phase of the case. No amount of Kaeske’s protestations changed the judge’s mind. By 11 o’clock, the jury had been sent home. The next case, also overseen by Judge Faber, is scheduled for January. At 60 days, a hog’s life is a third over. Some fast-growing varieties of fall corn, planted just two months ago, are ready for harvesting. But the Trump administration’s big, big bailouts — the biggest ever! — promised for the nation’s farmers have been trickling, not flowing to those harmed by the president’s international trade policies. Only $838 million of the $12 billion has been paid out, reported The New York Times, with just $1 million going divided among a few hundred North Carolina farmers as of Oct. 31, according to the Environmental Working Group. The USDA announced in late August that payments would start Sept. 4. 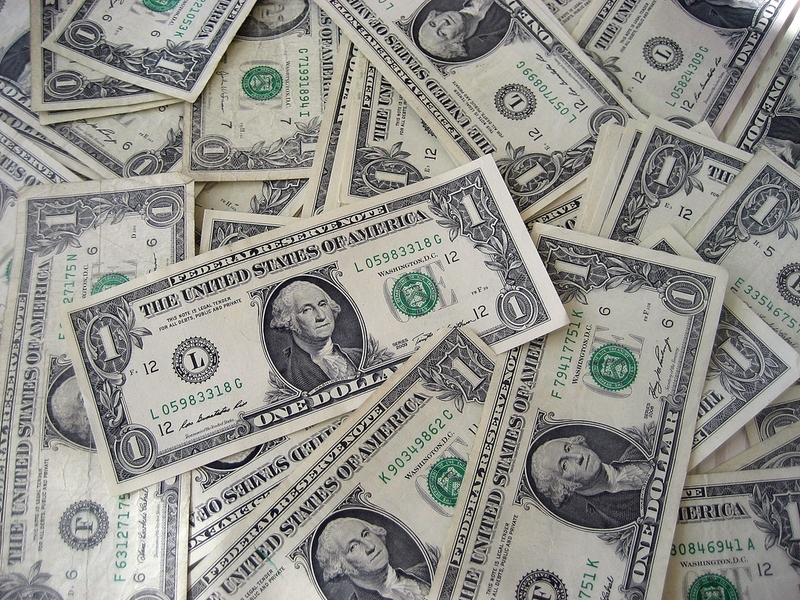 The money is supposed to help offset the financial impact of retaliatory tariffs levied against US products — the result of Trump’s trade war with China, Canada, Mexico and several other countries. But few farmers have benefitted from the program. Of the 47,800 farmers and related operations in North Carolina, just 870 have received any money from the USDA. (Some farmers, depending on the crop, aren’t eligible.) The farming operations listed raise dairy cows or hogs, as well as grow wheat, corn, soybeans or sorghum. The average amount per farmer is about $1,200; a third of the recipients received less than $125, according to the EWG database. The EWG’s data is from the USDA. The top five recipients are in the hog business, with the largest bailout payment of $60,000 going to Nash Pigg Rentals of Bailey. The land business shares an address with a slaughterhouse, Dean Street Processing. Smithfield Foods is not among the beneficiary; the Chinese-owned company was eligible for up to $249,000 in US government aid, but withdrew from the program after USDA and public scrutinty. The EWG also reported that 85 farming operations received more than the $125,000 cap; none of those farms is in North Carolina. The watchdog group also found that 1,142 “farmers” in the nation’s 50 largest cities have received bailout payments so far: That includes nine residents of San Francisco, four of Los Angeles, five of New York City and four of Washington, DC, according to the EWG website.